Nursing assistant programs are one of the most popular types of training for new nurses. These certificate programs take just eight to ten weeks to complete, which means graduates are prepared for immediate employment. Nursing assistant programs focus on manual dexterity and interpersonal communication, which are essential skills for patient care. Central New Mexico Community College offers one of Albuquerque’s most popular nursing assistant certificate programs. Licensed practical nurse (LPN) certificate programs typically last 12 to 18 months. The additional time commitment is well worth it for nurses seeking more responsibility and higher pay. Albuquerque’s 1,000 LPNs earn an average of $45,000 per year, while the city’s nursing assistants earn just over $27,000 per year. LPN programs feature in-depth training and extensive development of practical skills. LPNs can work in any medical field, and their duties include bedside care, administering medication, supervising inexperienced nurses, and aiding registered nurses. Pima Medical Institute, Carrington College, and Albuquerque Public Schools offer local LPN certificate programs. Registered nurse (RN) training lasts two to four years, and it includes extensive training in clinical care, health promotion, pharmacology, and clinical management. Just a few Albuquerque schools that offer RN training programs include University of New Mexico, National American University, and Brown Mackie College. A nursing career awaits you. 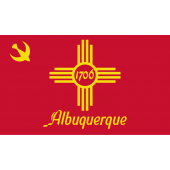 Browse our detailed list below of available nursing programs in Albuquerque, New Mexico.